Frances is a 1982 American biographical drama film directed by Graeme Clifford from a screenplay written by Eric Bergren, Christopher De Vore, and Nicholas Kazan. 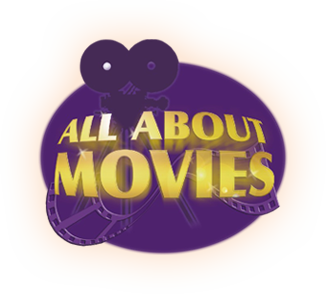 The film stars Jessica Lange as Frances Farmer, a troubled actress during 1930s who's career descended as a result of her mental illness. It also features Kim Stanley, Sam Shepard, Bart Burns, Jonathan Banks, and Jeffrey DeMunn in supporting roles. Kevin Costner appears in a bit role.The film chronicles Farmer's life from her days as a high school student, her short lived film career in the 1930s, her institutionalization for alleged mental illness in 1940s, her deinstitutionalization in 1950s to her appearance on This Is Your Life. 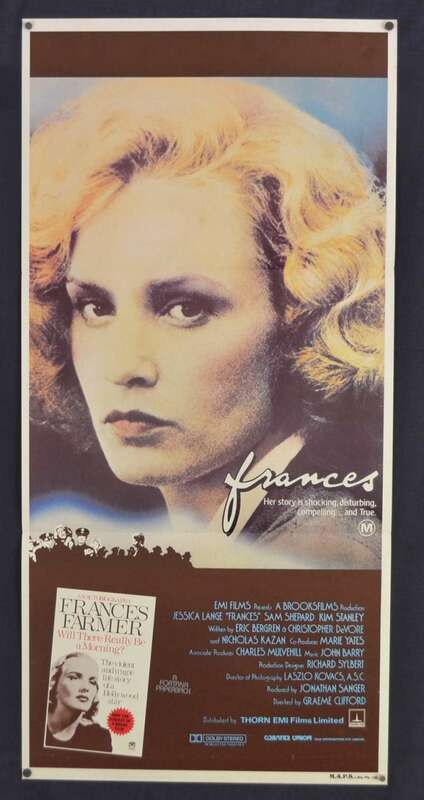 Frances was released theatrically on December 3, 1982 by Universal Pictures. The film received generally positive reviews from critics. Lange's performance was unanimously praised and has been cited by many (including her) as her best performance. At the 55th Academy Awards, it received two nominations for Lange and Stanley as Best Actress and Best Supporting Actress respectively. Edge Wear / Stains: Minor spot mark above Lange's right eye on forehead. Folds and Creases: Folded twice as issued to cinemas.A light horizontal soft fold crease exists just below the image of the book. Comments: Stunning image of Lange in character as Frances Farmer.